Early-1900s temperance literature is a now-obscure area, not least books chronicling the passing of the saloons after 1920. There is an eerie quality to these works, for which the word necrology is not too strong. Authors combed the old saloon sites to see what happened to them. In The Passing of The Saloons in New York City (1924), Robert Everett Corradini, the Research Secretary of the World League Against Alcoholism, explained how hundreds of saloons had transmuted to (in his view) more productive business units. Evocative black and white photos underscored the text. Given the choice locations of many former bars such as street corners, some were rented by the emerging national chain stores, probably the 5 and 10 Cent and that type. Others became restaurants, groceries, furniture stores, clothiers, or professional offices – virtually everything under the sun. The tone of this somewhat grisly study was outwardly sunny, upbeat. Landlords were obtaining better returns than ever, and society was better served by normal businesses having replaced the gin mills, wrote the author. The only dim spot was ex-saloonkeepers who tried to run a modified bar. In the delightful phrase of the book, they sought an “amphibious existence” based on “near beer and ham sandwiches”. Despite the boosterism given near beer in a New York newspaper three years before as I discussed earlier, it seems people weren`t interested: the “temperance” saloon had a short existence. Yet, even the struggling remnants of a near beer trade offended the temperance busybodies (perhaps too anxious that near beer was made a bull’s eye with “needled” alcohol). A few books appeared of this type, some photo-illustrated, and stand as curios of the Volstead period. One wonders if these anti-drink campaigners sought out the “blind pigs“, or illegal drinking places where citizens-turned-lawbreakers pursued bibulous life. Perhaps hefty bouncers and round-magazined Tommy guns dissuaded them. Not to mention that continued, sub rosa boozing put the lie to the ordered, decorous world the reformers saw as meet and proper for America. Best not to know. 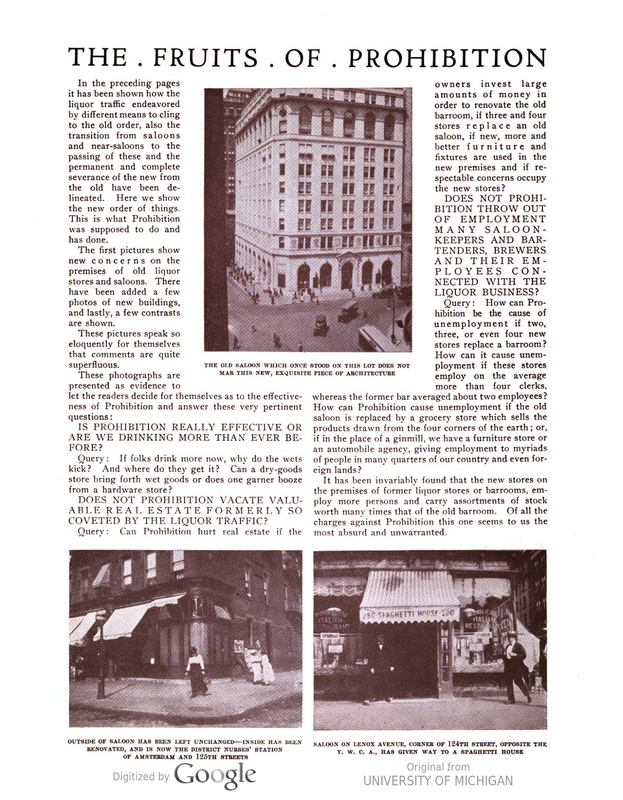 Below, you see a spaghetti house from 1924 that replaced a saloon, from Corradini’s book. Also appearing is the same site today. 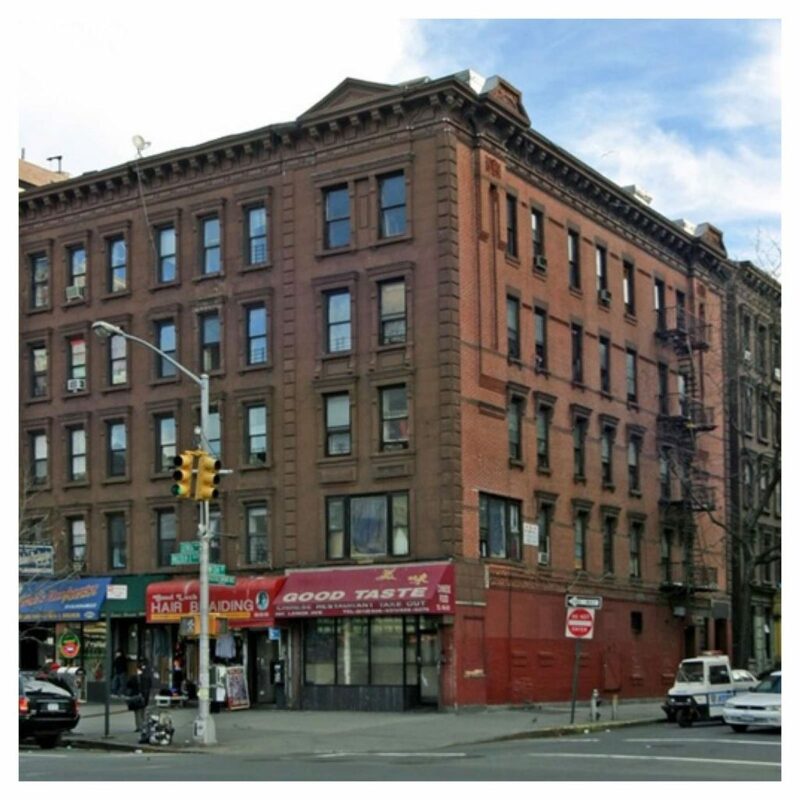 Despite the inevitable changes to the storefront, the building is recognizably the same. Note the trap door on the sidewalk just behind the “Do Not Enter”: that is where beer barrels were lowered to the basement when saloons were lawful. I know Manhattan well and now realize that many corner restaurants and groceries in the old sandstone or brick buildings were once saloons. Note re images: the first image above was sourced from the book referenced in the text (from HathiTrust). The second is from this New York real estate listing. All trade marks and other intellectual property to or in such images belong to their lawful owners or authorized users. Images are believed available for educational and historical purposes. All feedback welcomed.